In this interview with Business Officer, two Canadian higher education leaders pinpoint where the U.S. and Canadian systems part ways in structure and approach, and where they closely align. 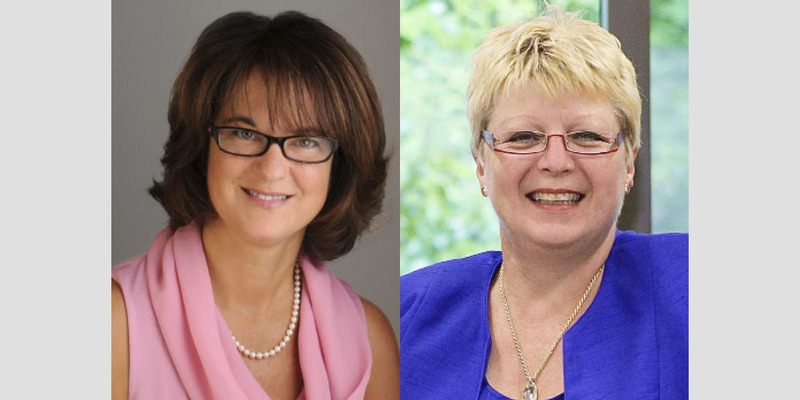 In advance of the NACUBO 2016 Annual Meeting in Montréal next month, Nathalie Laporte, executive director of the Canadian Association of University Business Officers (CAUBO), Ottawa, Ontario, and Gitta Kulczycki, vice president of resources and operations at Western University, London, Ontario, identify key differences between the U.S. and Canadian higher education systems. What notable differences do you see between the way the Canadian higher education system operates and how we operate here in the United States? LAPORTE: One of the most important differences is that there is no national department or ministry of education in Canada. Education falls under the jurisdiction of our 10 provinces and three territories, and each has its own policies with respect to higher education, so there is no integrated national system, per se, in Canada. Unlike higher education in the United States, which includes large, private, elite institutions, Canada is a largely homogenous system of public universities. We have a handful of private institutions, but they tend to be very small, and mostly religiously affiliated. Another big difference is size. The population in Canada is about 35 million people. We have only 97 universities across the country, although they are probably larger, on average, than U.S. institutions. We are also largely unionized, with unions including approximately 80 percent of our faculty. That obviously creates specific challenges, especially with regard to negotiating salary increases. Another key difference: On average, university endowments in Canada averaged about $225 million as of 2014—and that includes the University of Toronto at $2 billion and McGill University at $1.3 billion. In fact, if you remove the four largest university endowments in Canada, each of which accounts for more than $1 billion, the average endowment value falls to about $148 million. So, American institutions are quite a bit ahead of Canadian institutions in building their endowments to levels that can offset meaningful amounts of university expenses. How are higher education institutions funded in Canada? LAPORTE: As a provincially funded system, we receive a high rate of government support, but that has been declining. About 10 years ago, the government provided around 59 percent of university operating funding. Today it is 51 percent, which is still, by far, the largest funding source for our universities. Support at the federal level takes the form of financial aid programs, research funding through Canada’s federal research councils, and some infrastructure support. Most everything else with respect to tuition or other programs of financial aid falls under provincial jurisdiction. Given the decline in public funding support, what is the nature of the conversation in Canada about what students should pay? LAPORTE: We have a strong access mandate for universities in Canada, so the tuition, fees, and annual increases are regulated by the provincial bodies and are kept fairly low in comparison to the United States. The average annual tuition across Canada in 2015 was $5,769—that’s Canadian currency—and ranged from $2,853 in Newfoundland to a high of $8,130 in Ontario. KULCZYCKI: In general, the provinces provide a framework. For instance, they would say that you can’t increase your tuition rates more than X percent overall, and no more than X percent for your second-entry programs, such as your professional schools. We also have caps on additional fees that we’re allowed to charge students. For the most part, mandatory program fees are regulated. For other fee-based services, a committee process at the institution level generally oversees this; but before we can increase those fees beyond a certain amount, a student referendum must indicate that they [students] are in favor of doing this. Then, for certain things, like student health programs or student transit passes, the student councils might take the lead to negotiate directly with the university or with a firm or transit authority. To the best of my knowledge, governments have not gotten involved in regulating fees for student residences. In that case, institutions that offer residency options decide what they should charge. LAPORTE: Bottom line, you must navigate within a very narrow window of opportunity for any type of fee or tuition increase. What more can you share about the spending priorities for the Canadian government as it relates to higher education? LAPORTE: As mentioned, access has been a priority focus for our government. A second element of priority relates to infrastructure. The current government wants to boost economic activity, in part by providing more infrastructure funding to Canadian universities. Something else we see taking hold relates to funding for research [and development]. Universities essentially account for 40 percent of the R&D budget in Canada. Our new government has signaled that research and innovation—particularly that conducted by Canadian universities—is of great importance. This wasn’t necessarily the case with the previous government, so we expect to see significant reinvestment coming our way on that front. That said, this increased focus on research at Canadian universities plays directly into creating a funding deficit that universities need to cover somewhere else. Similar to what is experienced in other parts of the world, the indirect costs of research represent between 40 percent and 65 percent of direct costs. Yet, the average subsidy for indirect costs stemming from federally funded research is 20 percent. The additional shortfall does not get compensated. If you add to that the fact that the tuition is regulated, provincial grants are declining, and about 76 percent of university expenses go to salary and benefits, this leaves little room to improve our financial situation. So, this underscores the importance of really looking at our costs and understanding our cost drivers and what levers we have to actually reduce costs. So what are Canadian universities doing to review their revenues and cost structures to determine how those might need to shift in the future? LAPORTE: In recent years, universities in Canada have begun to look at revenue generation more broadly, with a lot more emphasis placed on increasing international enrollments and on alternative revenue sources. We’re also seeing quite a bit of effort placed on accessing benchmark data that will help leaders identify how to make their operations more efficient and more effective. A number of universities are looking at program costing and prioritization, but this is rarely done as a means for identifying program cuts. Rather, administrators are reviewing their budget allocation models to determine how they might provide incentives-based models for deans and faculty to increase student registrations and proactively manage their cost structures. Leaders do understand that a resource allocation model doesn’t provide us with additional resources, per se, but if we can implement the right incentives, a new model can certainly help. CAUBO recently conducted a survey that showed that two-thirds of universities are considering a change in their budget allocation model. Even so, only a handful of universities have actually migrated to something like RCM (responsibility-centered management) in Canada. How would you characterize the way that the chief business officer role is perceived within the institution? LAPORTE: I think it is generally acknowledged that this role has become more of a strategic adviser to the senior team. At the same time, in some of our smaller institutions, in particular, those demands must be met in a financially constrained context where no additional resources are available to deal with the other more technical, day-to-day work that must occur. The lack of adequate IT systems, and the administration of a high number of collective agreements are also often noted as barriers to achieving a more strategic focus. And so, while there may be a desire to play a role at the strategic level—and while some of our members perform very well in this area—some keep getting pulled back into the more technical aspects of the job. Finally, succession planning and developing the next generation of business officers have become hot topics within NACUBO’s membership, with recent surveys showing that more than 40 percent of those currently in this role are planning to retire sometime in the next five years. How is this issue shaping up in Canada? KULCZYCKI: There is no question that trying to determine where our successors will come from is a real challenge, especially as budgets grow tighter. This is the case at my own institution and for many others where there isn’t the flexibility to allow for a second-in-command model to let someone gain experience without having to carry the full load right away. Likewise, there isn’t a lot of opportunity or maneuverability from a financial standpoint to offer learning opportunities. So this remains a big challenge—one that will be with us for some time, and, it sounds like, for our U.S. counterparts as well. LAURA HUBBARD is vice president for finance and administration, University at Buffalo, The State University of New York.